Customized especially for your wedding with your names. These are 3 Packs of 18" inch High Quality foam sticks. Also look at our Bride and Groom customized Promo glasses that are great for weddings. These have been getting very popular in alot of weddings, The Brides and Grooms love them! Check out our Video below that shows how much fun they are having at this ceremony and what smiles they bring to your special day! 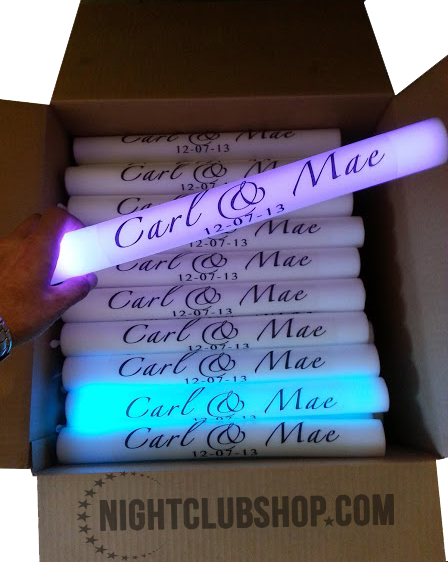 These 18 inch Custom LED Foamsticks are pefect party favors for your wedding. 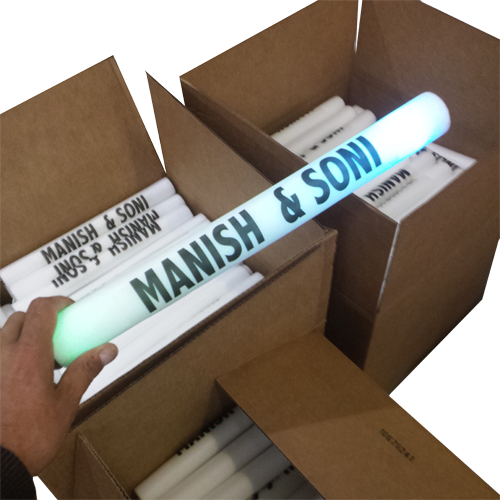 Put a smile on your guests face when they wave these foamsticks to music and watch your whole party light up. 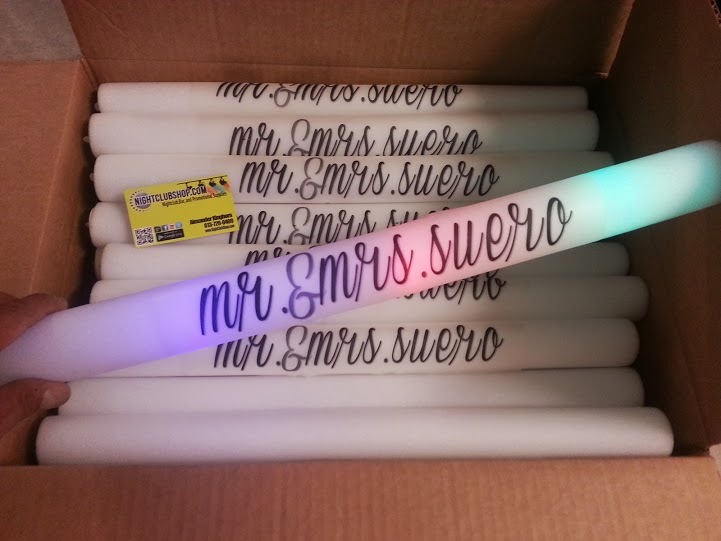 They can hold on to these foamsticks as well as well as a keepsake to always remember your wedding as one of the best they have ever been to.